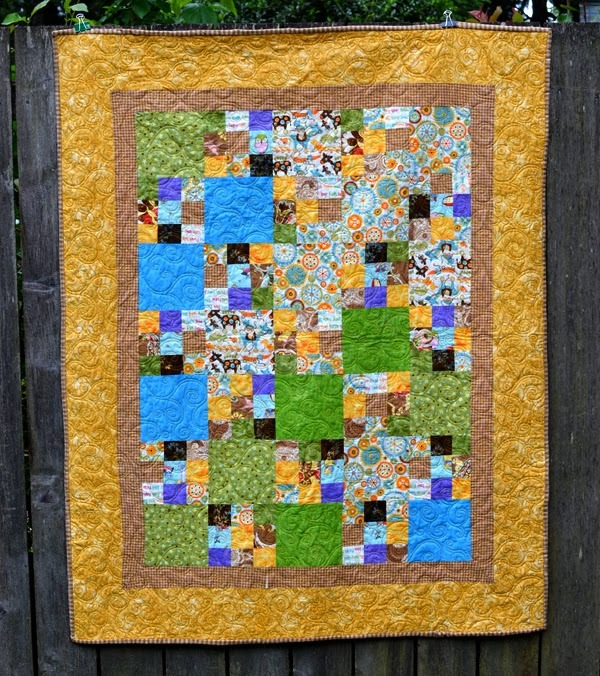 ' Sewing and Quilting Week - Baby Blankets - Sisters, What! Since last June, my family has welcomed 3 new little babes into the family. Two of them born only a day apart. 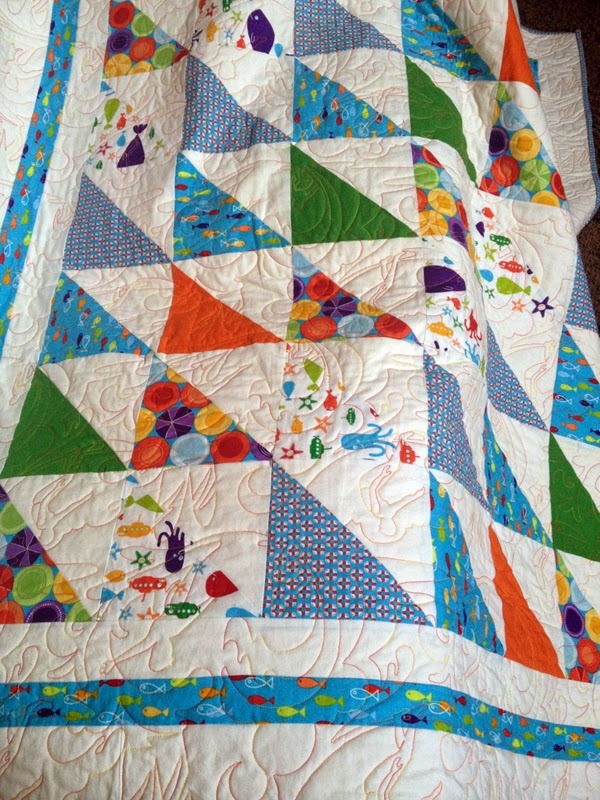 Thus, my mom has been kept busy making some beautiful baby quilts. This first quilt was for my sweet cheeks little boy. She had a bit of fabric left over from my wedding quilt that she made, so she's been adding bits of the fabric into my two boys quilts. 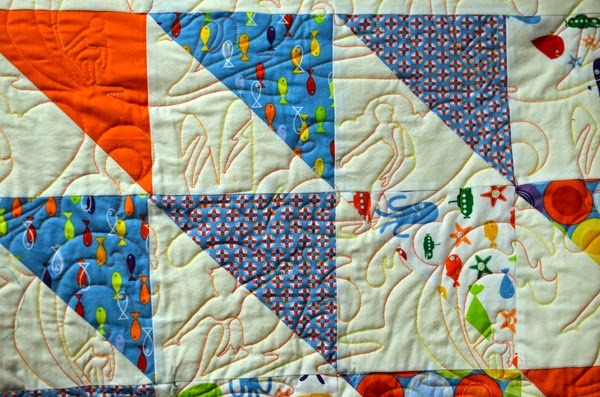 I love that all of our quilts have a connection. (see captain awesome quilt here). 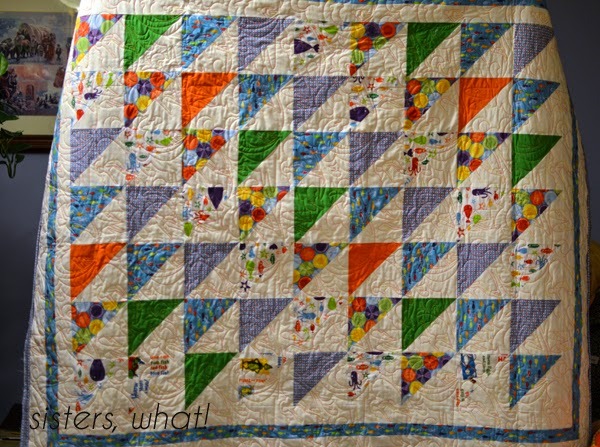 This quilt was for my brother's first baby - a boy! 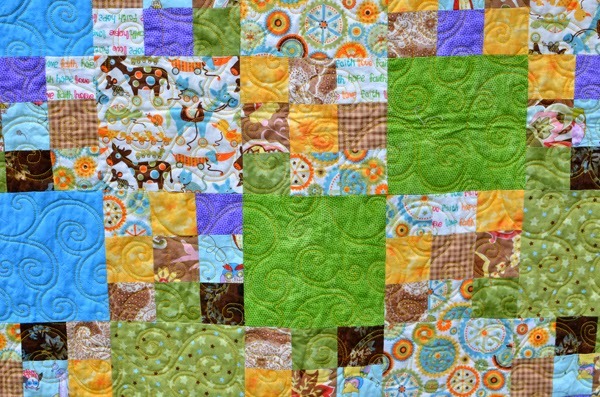 I love the fabric and design, my favorite part is the quilting design. Can you see the surfer in the design? amazing what you can do with machine quilting. 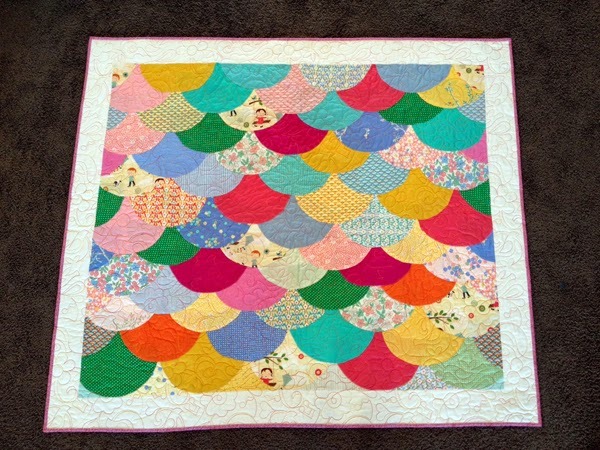 I also had to share the baby quilt that my sister in law for their new little girl. Just because we're talking about my sister in law, I just had to share this recent quilt she made.